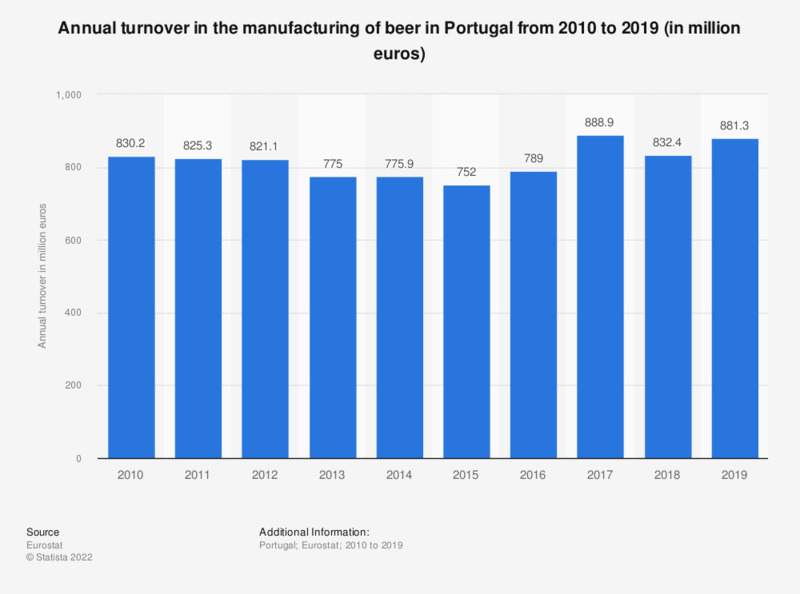 This statistic shows the annual turnover in the manufacture of beer in Portugal from 2008 to 2014. In 2014, the turnover in the beer manufacturing industry amounted to approximately 775.9 million euros. The source adds the following information: "Turnover is the total of all sales (excluding VAT) of goods and services carried out by the enterprises of a given sector during the reference period." Data coverage corresponds to Section C1105 of NACE Rev 2. Statistics on "Anheuser-Busch InBev (AB InBev)"